Miniatures Gaming | Millennium Games | Over 1,000 Games! Millennium has everything you need to experience the miniatures gaming hobby, whether you are just starting your collection or you are finishing up yet another army (you know who you are!). Modeling – Millennium offers everything you need to experience the modeling side of miniatures gaming! 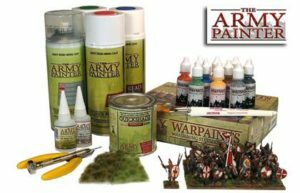 From glue and modeling supplies to terrain and basing, we have a variety of supplies from the biggest names in the business, like Games Workshop, Army Painter, and Gale Force 9! We carry complete paint lines from GW, Vallejo, and Privateer Press. Millennium also has you covered for transportation and storage, with dozens of cases and trays from Battlefoam. Let us help you take your hobby modeling to the next level! Millennium strives to offer something for everyone for miniatures gaming, from massive Warhammer Armies to smaller, skirmish-level games. Games Workshop – For over 40 years, Games Workshop has been providing some of the best miniatures and supplies on the market. Warhammer 40K and Age of Sigmar provide large-scale fantasy and sci-fi battles, where entire armies clash on the battlefield. Other popular titles like Shadow War Armageddon, Silver Tower, and Gorechosen provide more streamlined miniatures experiences. With tons of Start Collecting box sets and starter kits available, it’s easy to get started in the GW universe. Check out our massive selection of Games Workshop products today and start your own chapter in the history of Warhammer! War Machine – Skirmish-style combat set in a fantasy Steampunk universe of the Iron Kingdoms, War Machine offers a unique miniatures gaming experience with tons of flavor and style! 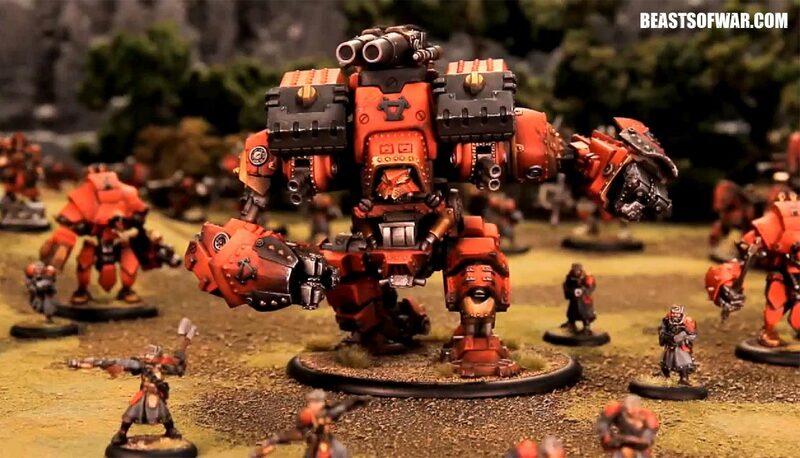 Use your Warcaster and Warlock to control your group of steam powered Warjacks or ferocious War Beats and do battle with a unique hybrid of troop combat and magic. If you are in the mood for something new, be sure to check out new up-and-coming miniatures titles like Guildball, Infinity, and TANKS! Guildball offers a fresh take on sports combat, and with small teams, your initial investment is minimal. Infinity brings you into sci-fi on a skirmish level, with unique and interactive combat mechanics. And TANKS provides a quick down-and-dirty World War II vehicle skirmishes. Pre-Painted Miniatures – Millennium offers several gaming lines featuring Pre-Painted miniatures. These games are a great way to experience miniatures gaming without the hassle of modeling and painting. All the models come assembled and painted….all you need to do is play! Check out some of these popular Pre-Painted miniatures games today! 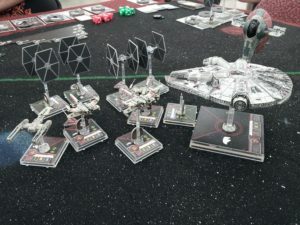 Star Wars X-Wing and Armada – Fantasy Fllight’s unique entries into miniatures gaming put you in the middle of space battles in the Star Wars universe. X-Wing offers small scale dogfights between classic Star Wars ships like the Millennium Falcon, X-Wings, and Tie Fighters, using unique simultaneous flight and combat rules. Armada brings larger-scale battles to the table, allowing players to control fleets of ships, including Star Destroyers! Heroclix – Pre-painted miniatures battles featuring all your favorite characters from the Marvel, DC, and Indy universes! Check out our Event Calendar for more information on tournaments, demos, and more!